Create delicious and nutritious Plant based meals with the easy to read book! Are you trying to lose weight and live a healthier life? Have you ever wondered what a Plant based diet is all about? Are you trying to be more environmentally friendly in your food consumption? Are you simply looking to try something new? In this easy to read book you will learn. The dangers of the typical diet eaten by people living in the US. How eating an animal heavy diet is leading to increased obesity, heart disease, cancer and other ailments. Give you delicious recipes to ease the transition to a Plant based diet. 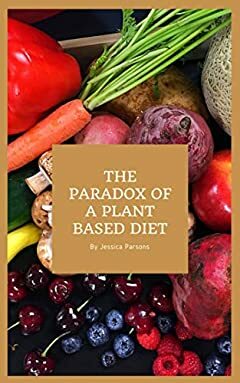 Whatever your reasons for reading this book, I hope it provides you with some clarity about eating a plant-based diet and I hope you enjoy the delicious recipes that I have included to get you started too.